With Power Dance, Mohammed Laouli presents his long-term project Ex-voto, through which the artist confronts the violence of colonial history to a soft, and yet sharp “thank you”. Mohammed Laouli’s Ex-Votos are expressions of gratitude which echo political, social and economic events throughout the history of Morocco, of the Maghreb region or Africa in general, since the Conference of Berlin (1884/1885) and to the present day. The gratitude formulas are engraved and gilded on marble plates, which are central elements of a process that serves as a trigger for the creation of a series of gestures, installations, photographs, videos and debates. These as well, generate perspectives to unravel the ambiguity of colonization and its effects and affects on the present. 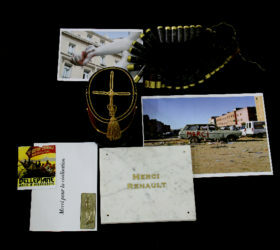 Thus, the Ex-Votos of Mohammed Laouli evoke memories of the people, authorities of major forces who have been involved or responsible for the colonization of Morocco, like the industrial companies that have moved Maghrebian men and women to Europe, and got them working for low wages; and the European companies, especially French ones, who settled in Morocco and manage a large part of its economic power, after the independence of the country. With this work, Mohammed Laouli opens reflections on colonization and its relation to the present situation. By confronting the expressions of gratitude related to the Ex-votos principles with the highlighting of current daily situations, the artist denounced the ambivalent official discourses and the violence of the postcolonial present condition. 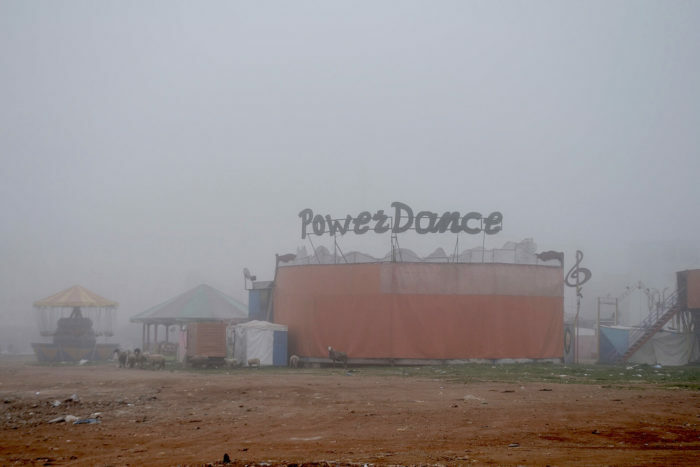 Mohammed Laouli has developed a first part of this project in the contexte of his artistic residency at La Friche Belle de Mai. This exhibition is part of travelling narratives, a regional program of art and research that aims at encouraging interactions between cultural agents in Morocco, Algeria, Egypt, Mauritania and Libya.